We regularly validate our software with the most common virus checkers on the market. To do this we submit our files to the virus total service ( https://www.virustotal.com/ ) and we usually get a clean bill of health. However we still find situations where virus checkers can block our software installation or its operation in various ways. This article discusses some of the common problems we have found with virus checkers and we provide examples of how to overcome them. Some virus checkers can block unknown installers from proceeding. In this example, you can simply click the Open File link (shown in the screen shot ) to continue installing RightBooth. After you have installed RightBooth, and you attempt to run it, you may find that your virus checker is completely preventing RightBooth from running, and it can even delete the file from your system. This is known as placing a file into quarantine. 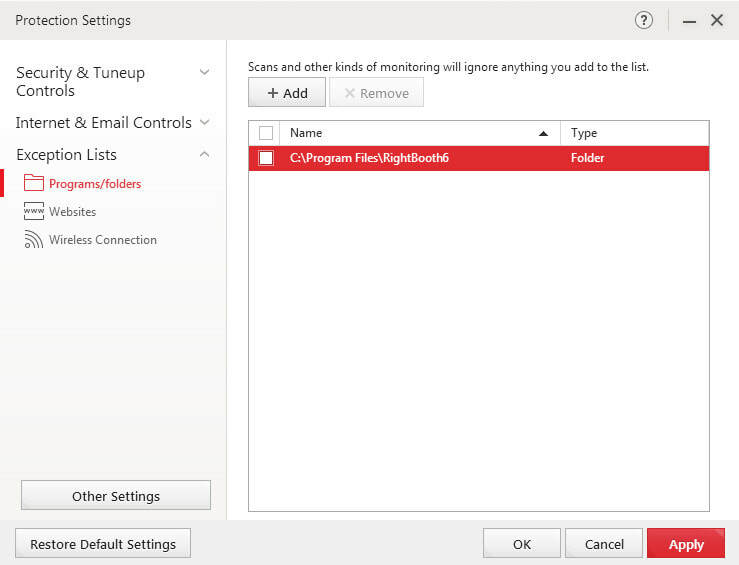 To prevent this you can add the RightBooth6 programs folder to the list of Exclusions in your virus checker application. Click the OK button to add the exclusion(s) to the Norton Security application. You may then need to re-install RightBooth to get it running. Click the Apply button to activate the exclusion. ​You may then need to re-install RightBooth to get it running. Sometimes, a virus checker might announce that RightBooth is attempting to gain access to your webcam. 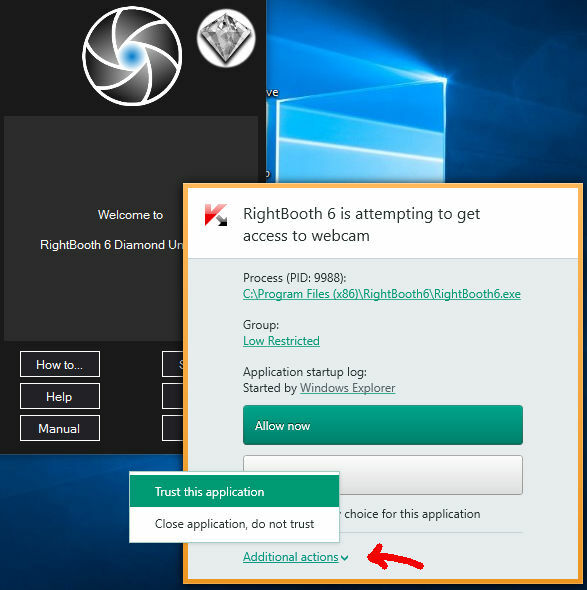 If this happens you can alter the settings of your virus checker application to set RightBooth as a trusted application or to allow it access to your webcam. All virus checker programs are different so you should consult your documentation to see how to do this. But as an example, here we show you how to set RightBooth to be a trusted application in the Kaspersky Anti Virus program. The BEST way to overcome problems with virus checkers interfering with RightBooth, is to stop the virus checker running completely. 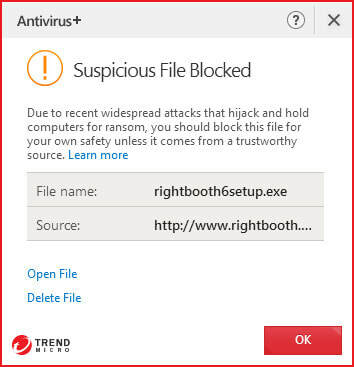 Whilst we don't recommend that you permanently have no virus protection on your system, we suggest that if RightBooth is the only application you are planning to run on your computer, then you can be confident that virus checking is not required for the RightBooth session, so you can temporarily stop your virus checker running before running RightBooth and then restart it again after RightBooth has been closed. This way, RightBooth will certainly perform better, especially when it comes to recording videos.